No matter which movie you have seen or book you have read, whether it’s Arnold Schwarzenegger’s True Lies or the book Nanny Diaries, spy cameras have been placed in virtually anything you can imagine and can be created to be as small as your thumb. The whole concept of a spy camera is to do surveillance undercover, without the target individual(s) ever knowing. 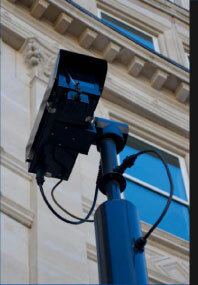 Spy cameras have been used as nanny cams where you can see what type of service you are paying for and to make sure there is no theft going on inside your home or to watch over employees to make sure they are doing their job on the clock. Spy cameras are perfect for home security and to work alongside your home security system as an alternative to the traditional security camera or CCTV camera because they can be placed in small nooks and crannies that some surveillance cameras would otherwise not be able to reach. Also, spy cameras are made now where they can “be” virtually anything you want them to be, whether it’s a stuffed animal or a radio clock or a pen. The possibilities are endless in what you can purchase and so that gives the consumer more options to place in every room or surrounding as needed without looking suspicious or letting on to what they are trying to achieve. Spy cameras also come as wireless cameras so there really is no need to install any wires throughout your home or corporate office. Again, figure out what you would need from the camera you are trying to purchase, whether it’s infrared, day and night camera with high-resolution color imaging, a smaller sized spy camera or something that needs to have low light capability. • Body Worn Cameras: These can be anything, from button cams to pen cams to pager cams. The purpose of these tiny spy cameras is to look like everyday items that you would normally wear on you and to look inconspicuous. • Wireless Nanny Cams: Perfect to place somewhere in the child’s room or in the house to observe that your children are being safe and that there is no theft going on inside closed doors. • Zoom, Pan and Tilt Cams: Perfect for indoor and outdoor use to capture all angles, give you the option of close ups with the look that is easy to disguise these spy cameras. Clearly, the era of these spy cameras only being used in espionage has ended. The technology is now available for us to use in our homes everyday for our own security. 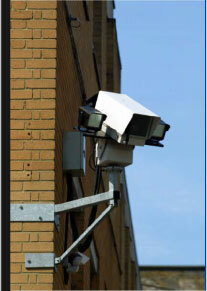 The small business owner also can now afford this technology for surveillance or security to safeguard his or her company.